With Museum of London undergoing its largest ever redevelopment, its Archaeology Service turning up extraordinary finds, from Shakespeare’s first theatre to early Londoners on the Olympic site, and Museum in Docklands celebrating its fifth birthday with record visitor numbers, the Museum of London Group is rebranding to bring together its venues and values, with new names and a new logo. The different parts of the Museum will now be known as Museum of London, Museum of London Docklands and Museum of London Archaeology, respectively. The striking new logo, designed by award winning agency Coley Porter Bell, takes the conceptual form of London’s thumbprint. Coloured layers map the shape of London over time, reflecting the ever-changing, diverse and dynamic make up of London and Londoners, past, present and future. The brand mark has been crafted to create visual impact, and link the Museum venues. 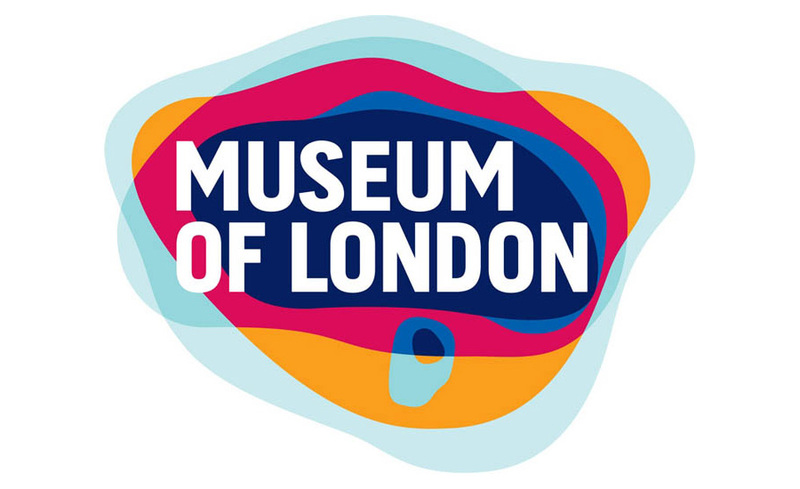 The colour palettes of Museum of London Docklands and Museum of London Archaeology’s new logos, feed into the layers of the main brand mark, creating a family of three destinations, united in a single mission: to inspire a passion for London. And London is written through the new logo, whose typeface echoes the city’s iconic street signage. The Museum will begin rolling out its rebrand, in phases, from 14 October in the run up to the opening of spectacular new £20.5 million galleries at Museum of London in spring 2010. CLAY – A new name, new building and the Royal Copenhagen Collection. The Reykjavik Art Museum Visual Identity. MUSE – Universal, Global, Local. Neues Erscheinungsbild für Staatliche Kunstsammlungen Dresden. Jewish Museum & Tolerance Center.